I have a lot of fictional ships. I mean, we all do, right? But I think it's more rare to have a historical ship. What exactly is a historical ship, you ask? In my own definition, a historical ship is when you just really love a historical couple. That's pretty straightforward, right? (And maybe even a little bit boring.) 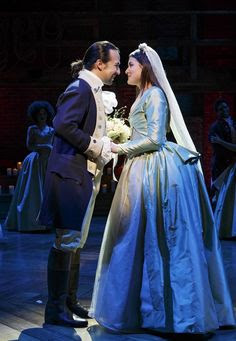 In my opinion, there is one historical couple who really sets the bar for couples everywhere, and that couple is Alexander and Eliza Hamilton. 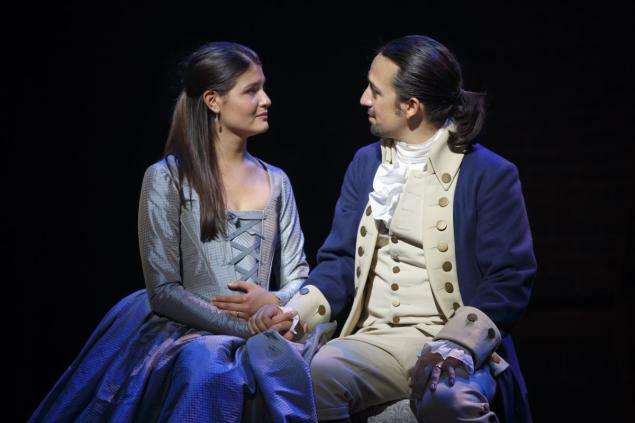 Alexander and Eliza Hamilton have recently come to the forefront of popular culture through the musical Hamilton, which chronicles Alexander's life and the lives of his closest friends and family members. Their love story is far from typical, however. Eliza and Alexander's story begins with love at first sight on Eliza's part. It's unclear when Alexander begins to feel the same way, but their relationship continues to grow over the next few weeks through letters. Within a month of them meeting, they're engaged! They were certainly very confident in their mutual affection. But the thing that consistently strikes me about them is how difficult their story is; there are mountains to climb at nearly every turn of the plot. These mountains aren't just misunderstandings, however (which is how problems in a relationship are often portrayed in stories), they are real issues that need resolving. Hamilton's work made them drift apart slowly over many years, and his affair instantly dug a deep chasm between them. Their lives were far from easy. I think the most important thing in their relationship was that they went on. It took a very long time for forgiveness and reconciliation to come after Hamilton's affair, but he learned to respect and love Eliza more, and Eliza slowly forgave him. This continued to be a serious issue in their marriage, and it never went away, but they lived through it. I think the song "It's Quiet Uptown" offers an honest look at the way Alexander's affair and the death of their son Philip affected their marriage. It gives a tender look at how these devastating events prompted Alexander to cherish and remember his family more. I don't pretend to know the challenges we're facing. I know there's no replacing what we've lost, and you need time. But I'm not afraid. I know who I married. Just let me stay here by your side, that would be enough. One of the most powerful moments regarding their relationship is in the song "Best of Wives and Best of Women." Hamilton has finally learned how much he loves and respects his wife. You can tell that they are speaking to each other with ease and love again, even in light of everything horrible that happened in the past. That's what really speaks to me in a story. Their relationship is a perfect example of how love takes work. They had difficult, and yet extraordinary, lives filled with wonderful accomplishments and change but also times of terrifying hardships. Marriage is definitely not easy, and I hope we see more portrayals of relationships like theirs. Do you like Hamilton? What do you think of Alexander and Eliza Hamilton? So yes. Yes yes yes yes yes yes yes yes yes. THEY ARE JUST MY FAVORITE AND AHHH.